Throughout the autumn of 2018 they will launch their third album with a major UK tour. The new material includes more original compositions with reflections on the modern world and storytelling that gets to the heart of life in Britain today. The original material sits alongside some unearthed gems from the British and Irish folk canons delivered with powerful harmony singing and sensitive musical arrangements. 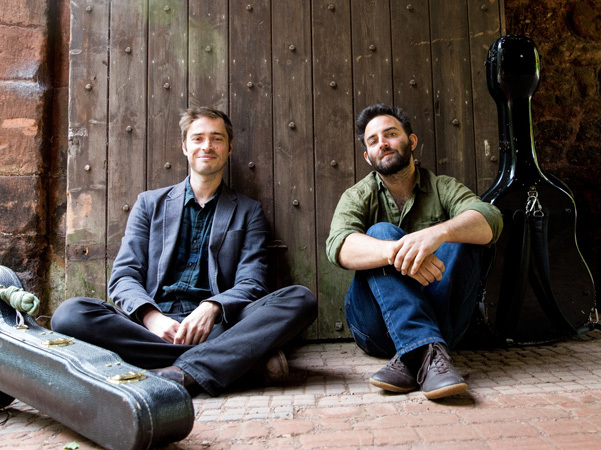 The duo’s live performances are a celebration of traditional music but there is also a deep integrity and sincerity that stems from their passion for the social themes within the music. There is a common thread of political struggle, resistance, and justice as well as the occasional love song. Their shows manage to be both hard-hitting and uplifting and it is this ability that justifies their reputation as two of the most exciting musicians and social commentators on the scene.